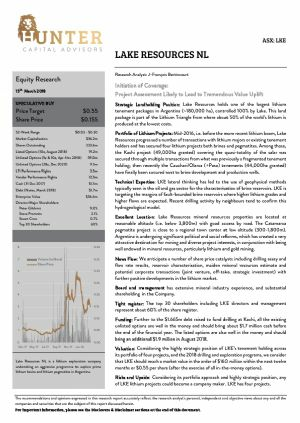 Brisbane, Mar 15, 2018 AEST (ABN Newswire) - Lithium exploration company Lake Resources N.L. 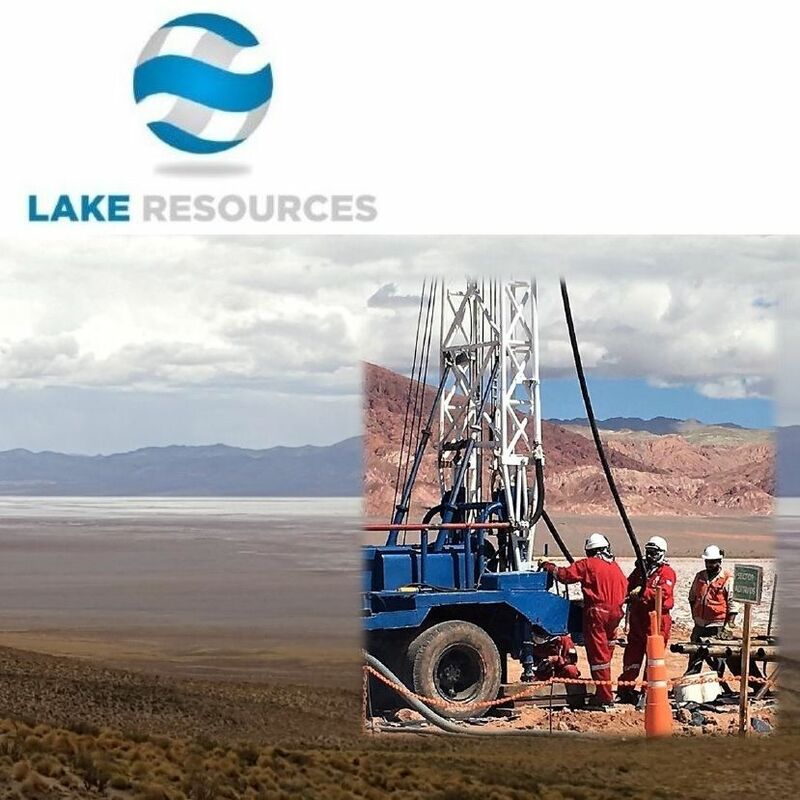 ( ASX:LKE) ("Lake" or "LKE") has advanced the first rotary drill hole to a depth of 240 metres with encouraging indications of conductive brines in two thick sandy aquifers at the Company's 100%-owned Kachi Lithium Brine Project in Catamarca. 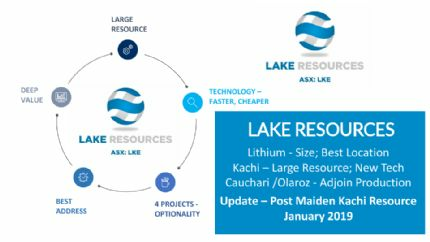 - High grade and potentially economic lithium brine results and flows were announced within a short distance of Lake's lease boundary at the Cauchari Lithium Brine Project in Jujuy. This drill hole will continue to a suitable depth where a clay horizon is intersected up to 300 metres depth and then will be cased, logged with downhole geophysics, and sampled. 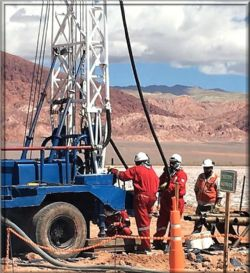 The additional larger rotary drill rig has commenced operations on a new rotary drillhole 6 kilometres to the south east of the current drilling to assess whether the same conductive sandy aquifers can be intersected. 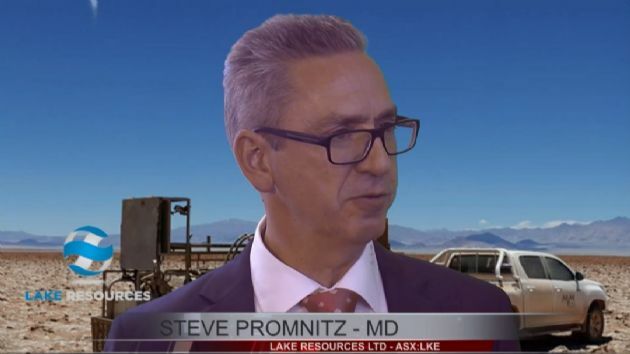 High grade and potentially economic lithium brine results with good flows rates of brines were reported recently from the leases immediately adjoining Lake's leases at the Cauchari Lithium Brine Project in Jujuy province. 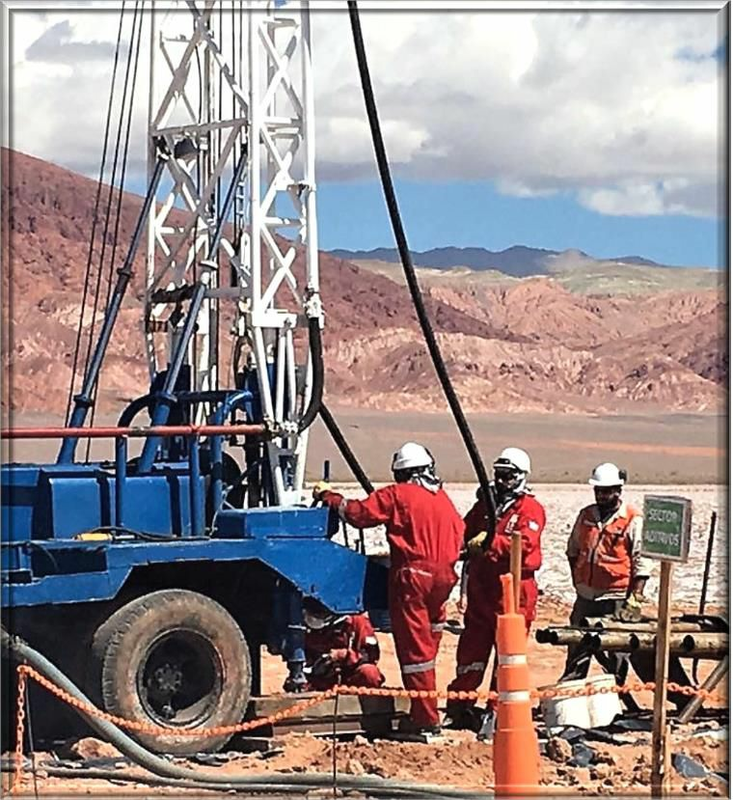 Advantage Lithium and Orocobre announced the results from their drilling of lithium bearing brines on their adjoining Cauchari Project. It is Lake's intention to target the same aquifers.